Have you ever had that feeling of time speeding up? Another year passes, another year older. Where does the time go? With the right tools, the process of ageing can be smooth and seamless. This evening will see our panel of experts share their knowledge, expertise and personal experience to help you transition through the natural rhythms of ageing gracefully. We’ll cover nutrition with ageing, and how to adapt your diet and supplementation needs during each phase, movements to keep your body supple, maintain good posture and alignment and keep your bones strong, how to keep your skin soft, supple and strong in the safest most natural way, and lastly how to manage the emotional rollercoaster that is ageing whilst maintaining mental wellness, balance and your sense of humour. The panel discussion will be hosted by Rebecca Wadey - PR Specialist and Wellness Advocate and features Megan May, Fiona Taylor, Nellie Pigot, Suzi Nevell, Heidi Billington and Integrated Holistic GP, Dr Helen Smith. Read more about our experts below. 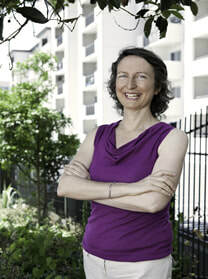 ​Fiona Taylor has been coaching individuals and business owners for more than a decade. Personal experiencesinspired her to study ways of managing stress and emotions and developing methods and practices for maintaining balance or more accurately regaining balance when life happens! Questions? Email Nellie or call her on 021 041 9955 and she will be happy to answer them.